Although the address is on Butler St, this image of Homer Simpson coming apart is actually at the back of the building, along Dresden Way. 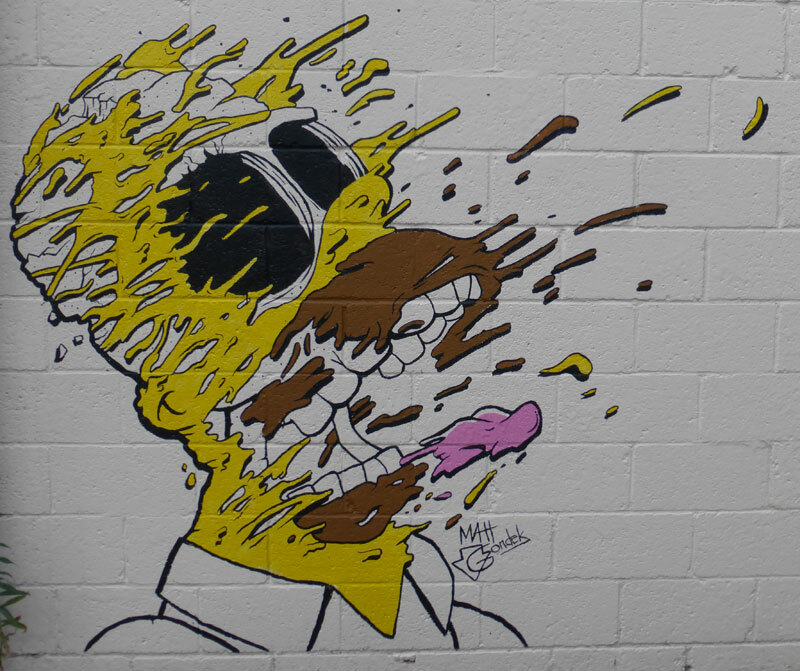 Artist Matt Gondek has drawn quite a few cartoon characters in some form of explosion or deconstruction. If you look on his website you’ll find several images exploding, melting or dripping away. Sometimes the skeletal structure or the organs beneath are revealed, as if he’s peeling away the layers. In 2016 Matt returned to Pittsburgh to do a mural in Uptown of Donald Duck.